Texting or SMS, the “Short Messaging Service”, is the most effective means of corresponding with customers. Take a moment to think about what communicating with patients is costing your business and how effective your methods are. Direct mail, through the postal system, takes the most time to be delivered, creates bulk, and most people only receive it when they come home from work mixed with multiple other pieces of mail. Email is a definite step up – it costs less and has been proven to be far more effective than traditional letters. But, most of us are besieged by email marketing, so most of what makes it through the spam filter gets ignored. But SMS is the more effective and there is lots of information to back this up. Everyone reads texts, and that is no exaggeration – since the early 90’s the proliferation of mobile phones has grown to the point where today 94% of UK adults personally own a mobile phone. That’s nearly 62 million people, the majority of whom will need prescription glasses at some stage. Omnipresence isn’t the only reason you should be seriously considering moving more of your patient communications to SMS. With only 160 characters, text messages are quick to read and can be actioned easily through replies, phone calls, and following links that open mobile webpages. And people trust text messages, because they have not been bombarded by spam and junk mail, as they have through email and post for years. Dwarfing every other written communication medium – Email only manages 20-30%. Telephoning customers ensures 100% of them get your message, if you can get through to them, but when you factor the cost in time, money and staff wages – with negative feelings invoked by tele-marketing – it is wildly ineffective. Not only do people respond faster to texts, they also generate remarkable conversion and retention rates. Julep, an online beauty retailer, launched their ‘Mobile Insider Club’ SMS campaign and grew their customer database from zero to 5000 in 24 hours, reported a huge 10.7% redemption rate for their first promotion, and have retained 99% of subscribers. A 2nd class postage stamp costs 56p in the UK, €1 in the Republic of Ireland, and takes 2-3 working days to be delivered. SMS cost a fraction of that, and take seconds to be delivered. 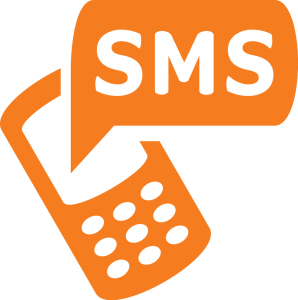 What’s more, SMS provides data back to the sender – so you can see who has read the messages sent to them. So, when you are launching your next promotion on designer frames, or need to send reminders to patients due their annual contact lens check, make sure your message reaches your customers and doesn’t just get lost in the chatter.